Niamh Carolan in a publicity still for the short film Rêverie. Niamh Carolan is a graduate of the 3-year course in Performing Arts from the Italia Conti Academy of Theatre Arts in London, England. She moved to Toronto in 2017 and began to land work immediately. In addition to her film credits, she has also landed roles in the 2017 stage productions of Out of the Pan and Runaway and has been cast in a number of commercials. She makes her small screen debut in the 2019 series American Gods, streaming on Amazon Prime. 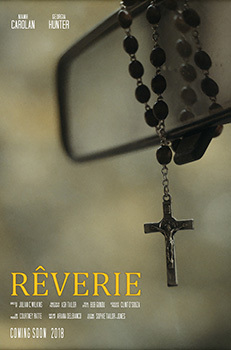 She is pictured in a production still for the 2018 short film Rêverie, which will have its Canadian Premiere at the 2019 Pendance Film Festival in Toronto.